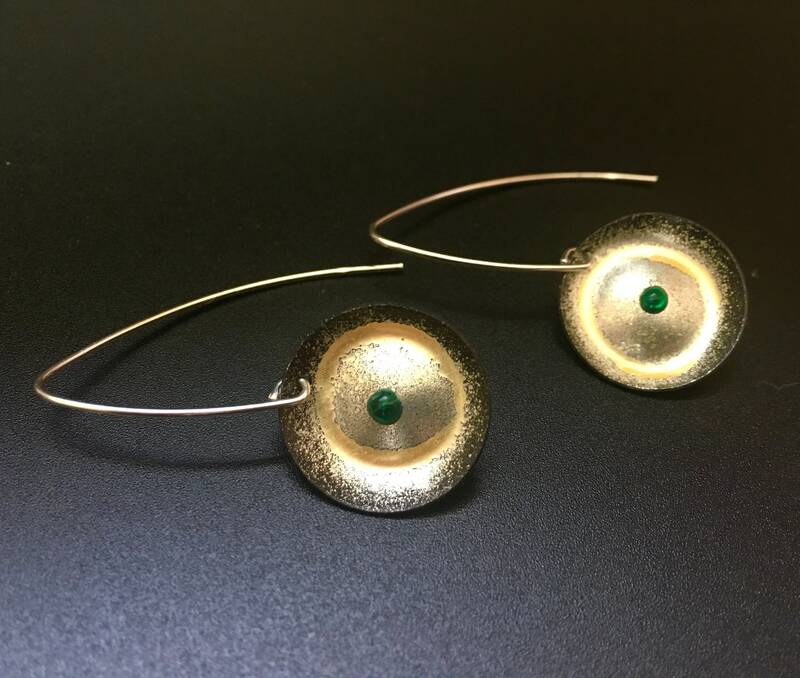 Striking EnamelArt drop earrings feature formed/domed discs of Fine Silver embellished with light golden-orange transparent vitreous enamel and a single vivid green glass lump. 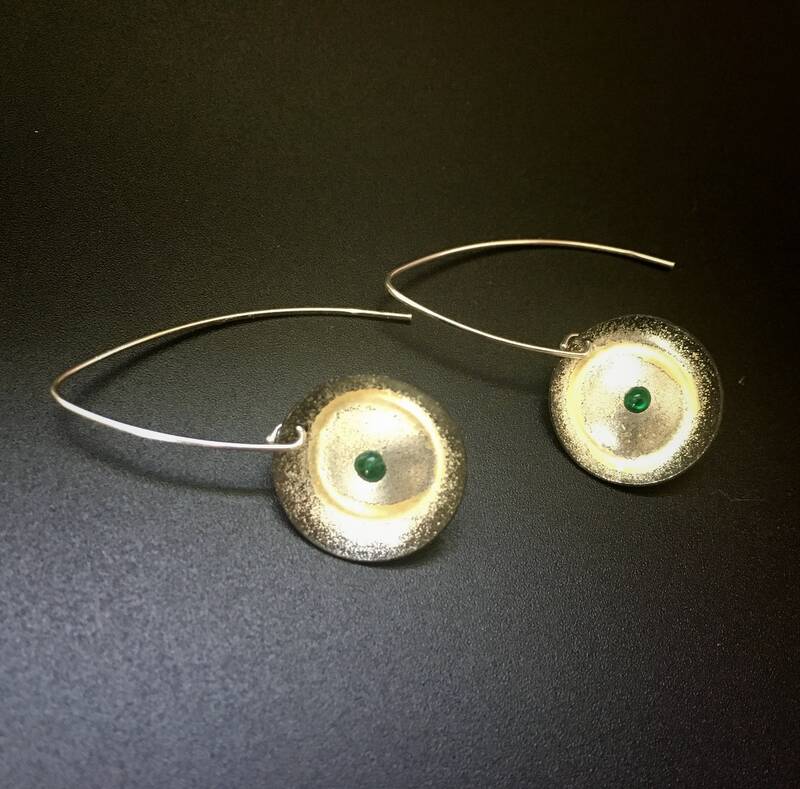 Disc measures approximately 18mm diameter, and is suspended from a v-shaped Sterling Silver earwire. Exposed sections of disc have been oxidized for contrast. Total drop from top of earwire is approx. 18mm.